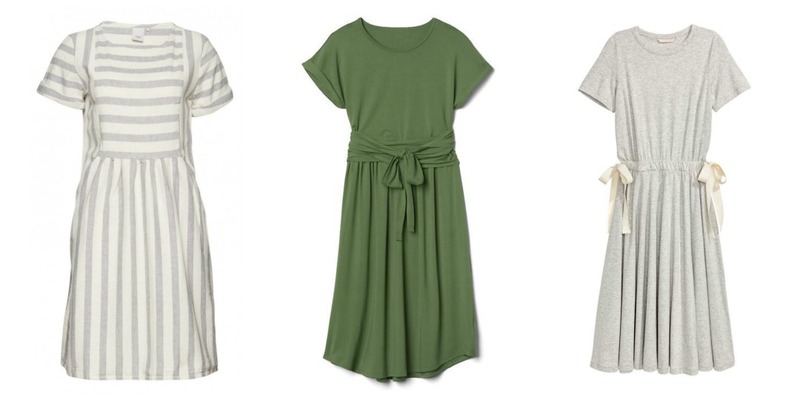 Over the last few weeks I’ve been on the hunt for some summer dresses that are practical, lightweight and stylish. I seem to still wear jeans in hot weather and they can get really uncomfortable. Dresses are so easy to wear. Practicality always rates highly when I’m buying something new, as with three young children – I move a lot, and I can’t be adjusting my clothing every five minutes. It’s also helpful to have items that can easily be taken from the beach, through the day and into the night, for when you’re on holiday. 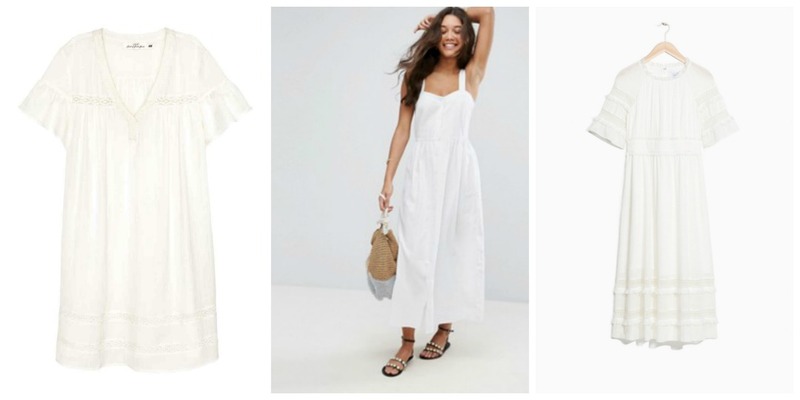 Gap have some simple designs that are perfect for the heat, Next have some beautiful embroidered numbers and Asos always have a good variety of styles and colours. 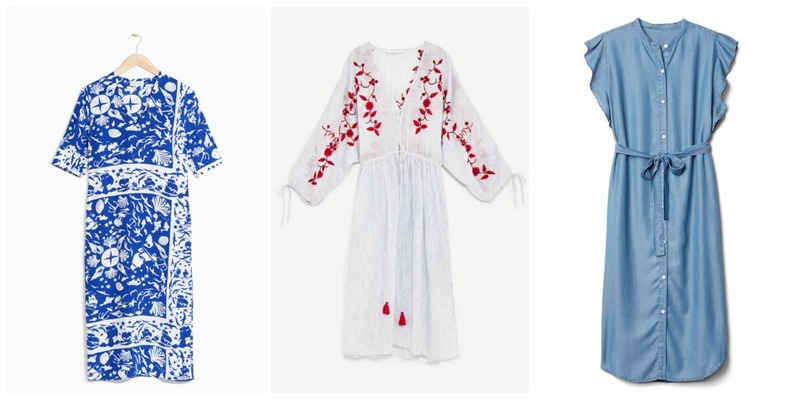 Boden and Free People also have some (super) gorgeous dresses, but they’re a little more expensive, and for that reason I haven’t included them here, but take a look if you’re looking for something special. I have included some white ones, which I know won’t be the most practical with children…but white does look so stunning against a tan! 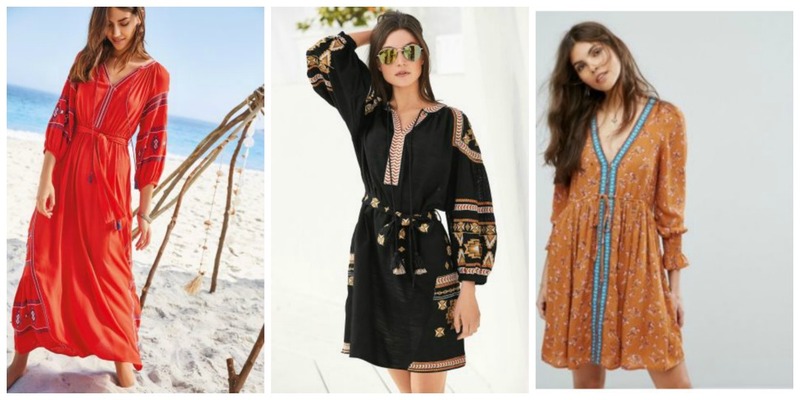 Gorgeous dresses! I love white with a tan as well. I don’t buy clothes at the moment but hopefully next year I’ll be ready for something new and white will definitely be on my shopping list!